The days of traditional lighthouses are almost over. 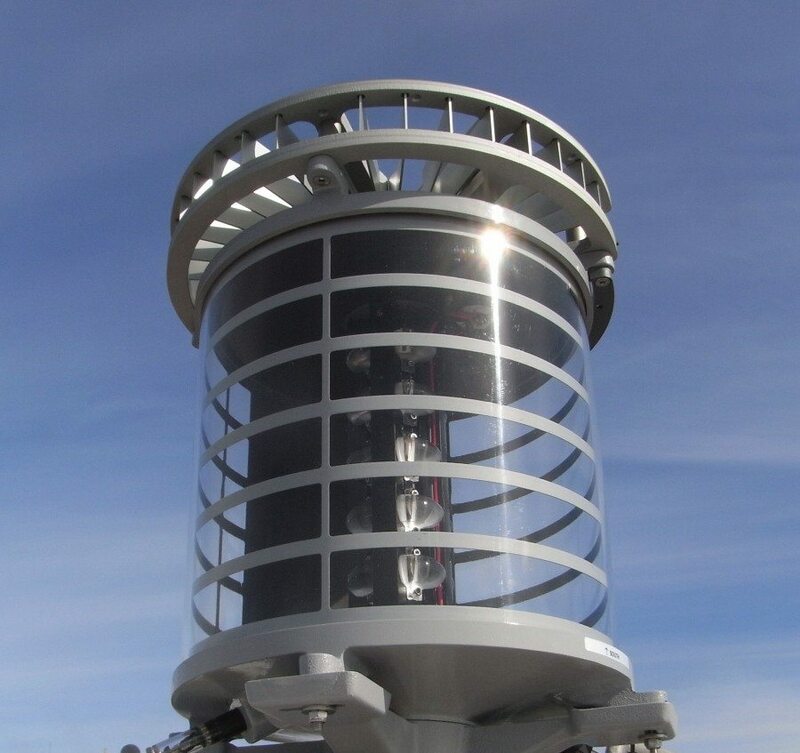 With the prevalence of electronic navigation aids, the general lighthouse authorities have reduced the specified ranges required for existing long range lights. In addition, advances in electronic light technology means that LED beacons are now able to achieve night ranges of up to 30+ NM at 0.74T as well as maintaining sharp boundary resolution. LED lights are now replacing incandescent bulbs as they require virtually no maintenance, consume less power and are easily run from a solar power supply. The VLB-92 is the latest high powered, long range LED light from Vega intended for applications requiring very high intensity and range. Incorporating an extremely high power LED light source (each lens layer incorporates 12 LED sources), along with high efficiency optics, the light can handle a range from 15NM – 20NM at 0.74T or 23NM – 30NM at 0.85T. The vertical divergence of the light at 50% of peak intensity is 3 degrees. 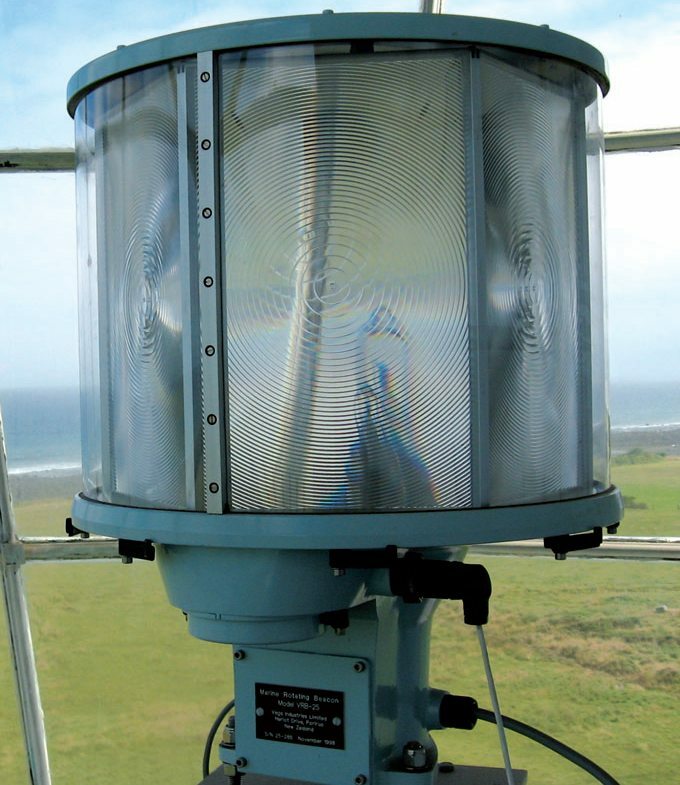 Designed to meet US specifications for an accurate and reliable replacement beacon for lighthouses, the VRB-25 provides a range of up to 22 nautical miles with a 100 Watt lamp. It can operate in remote solar-powered locations, on unattended sites, without a lighthouse for protection, and only requires maintenance once a year at most. The Vega VLB-44 is a flexible light that comes in three models with different vertical divergences and a range of 4 to 12NM. Up to eight tiers are available depending on the light range required. As a light also suitable for navigation buoys it is completely weatherproof and designed to run on solar power with great energy efficiency. Sharp boundary resolution with an LED sector light can now be achieved with the Vega VSL-73. Suitable as a sector light where the smallest sector is greater than 3 degrees, it can be configured for multiple colours (red, white, green) and sector angles with range up to 10Nm. The colour boundary change is less than one degree of the arc.